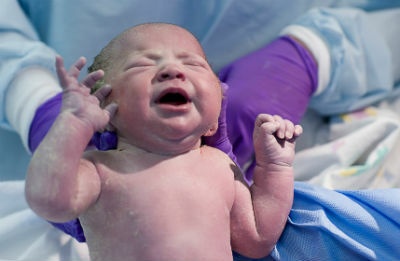 Traumatic Birth Syndromes are more common than you might think. A German medical researcher discovered that over 80 percent of the infants that he examined shortly after birth were suffering from injuries to the cervical spine, the neck, causing all types of health problems. What about the babies that dont show immediate signs and symptoms? What if the signs and symptoms dont appear until later on in life? What is the effect on that infants potential to express itself completely and wholly as a human being? What kind of symptoms and diseases could it cause later on in life? This is precisely the point. When the neck is injured, the entire body is affected. When there is an injury to the spine, the organs and systems supplied by those nerves become dysfunctional. These injuries, which are very often vertebral subluxations, can alter the course of a persons life if not immediately corrected. A healthy spine and nervous system will ensure your babys development during every stage of their life. Dont wait for a crisis. Make an appointment to have a spinal examination performed by a chiropractor who is trained to find and correct these injuries whether they are symptomatic or not.